Ann Arbor (Informed Comment) – The Trump administration was so annoyed by the line of the Central Intelligence Agency that Saudi crown prince Mohammed Bin Salman ordered the murder of Washington Post columnist Jamal Khashoggi that it appears to have kept director Gina Haspel from testifying to Congress last week alongside Secretary of State Mike Pompeo and Secretary of Defense Jim Mattis. Pompeo contradicted leaks from the Agency, saying that there was no direct reporting of Bin Salman’s complicity. Haspel’s absence angered even Republican senators, leading to a vote that rebuked Trump on the US involvement in the Saudi-led war on Yemen. Hence, she is being allowed to brief Congress today. The CIA leaks maintained that the murder was planned by the sons of King Salman, Mohammed and Khalid (the latter is the Saudi ambassador in Washington). Khalid Bin Salman is said to have called up Khashoggi and urged him to visit the consulate in Istanbul, where he was seeking paperwork in preparation for remarrying. According to leaks by Turkish intelligence to the Turkish press, Bin Salman’s henchmen put a bag over Khashoggi’s head soon after he entered the embassy. He appears to have been horribly tortured and then eventually strangled to death. His corpse was dismembered by a bone saw, either so that the cuts of meat could be smuggled out of the consulate in packets, or so that they could be dissolved in acid by “cleaners.” The body has never been found. A further CIA leak on Sunday to the Wall Street Journal detailed how Mohammad Bin Salman sent at least 14 text messages to his closest adviser, who oversaw the murder in Istanbul, before and after the crime was committed, strongly suggesting that he personally directed it. This leak can only be seen as a direct hit by Haspel on Pompeo–who had been her predecessor as CIA director before he moved to State, and who was almost certainly as hated by CIA analysts for his pompous falsehoods as he is now excoriated by State Department diplomats. One of the things I was surprised to discover when I began having a lot to do with journalists and US government people during the Iraq War was that they all hate their bosses with a passion. Trump, Pompeo and Mattis believe that Bin Salman is the linchpin of their new Middle East policy of breaking the 2015 treaty with Iran and pressuring Iran to withdraw from Syria and Iraq and to completely mothball its now-small civilian nuclear enrichment program. 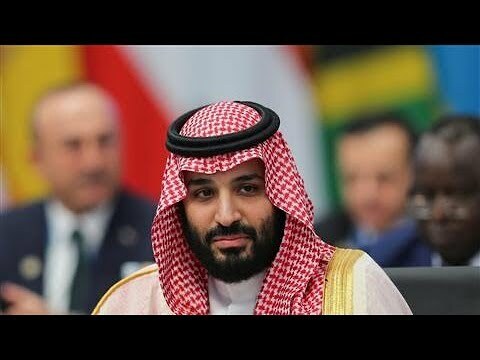 Bin Salman has established a strong alliance with the United Arab Emirates, Bahrain, Egypt, Morocco and Israel in an effort to isolate Iran and destroy its economy. They are therefore willing to cover up the murder of Khashoggi. Haspel and her CIA analysts, in contrast, appear to believe that Bin Salman is a major threat to US interests in the Middle East because he is unbalanced and a brutal murderer. He has imprisoned other princes at the Ritz Carlton Riyadh and extracted billions from them, and he kidnapped the prime minister of Lebanon in a failed bid to force him out of office because Bin Salman saw him as too pragmatic and too willing to cooperate with Hizbullah. King Salman seems to be in the tank for his son and willing to overlook virtually any behavior, though he did mildly rebuke him when Bin Salman said that the Palestinians are unimportant to Saudi policy. This deep divide in the Trump administration probably will prevent it from implementing an effective anti-Iran boycott. A friend of Khashoggi’s has sued an Israeli software firm for havning supplied to the Saudis an application that allowed Riyadh to see Khashoggi’s texts. The substance of these Whatsapp messages is also now becoming public, demonstrating that Khashoggi became a genuine dissident who was worried that Bin Salman was a “beast” that would require ever more human sacrifice.